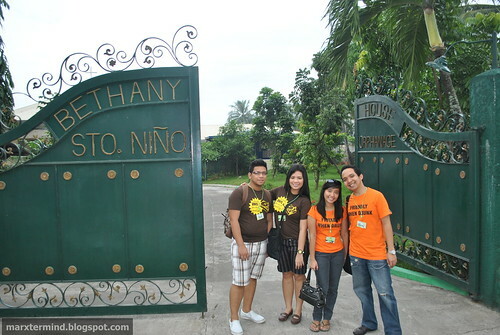 Bethany House Sto. 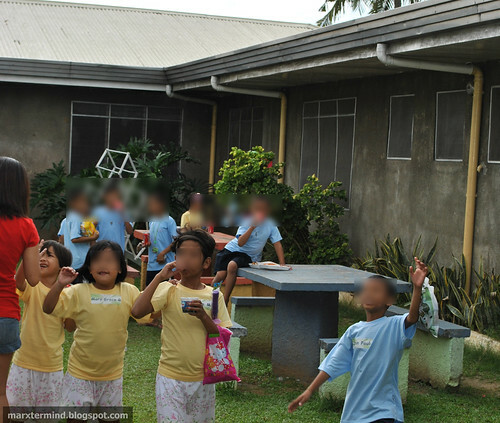 Niño Orphanage is a Home for neglected and abandon Children. It was a day of joy, happiness, and hope. 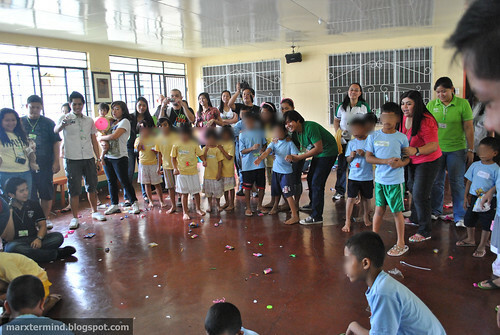 It was a delight that I’ve been part of an activity that brought fun and aspiration to the kids of the Bethany House Orphanage. 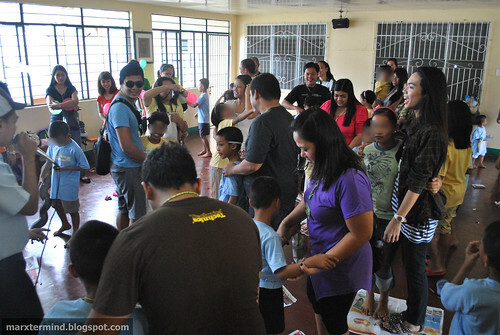 The time I’ve read about this outreach program on Chyng‘s blog, I didn’t hesitate to sponsor and to volunteer. I haven’t met her yet, so I thought it could be a good start. And that made me and Jean so excited. 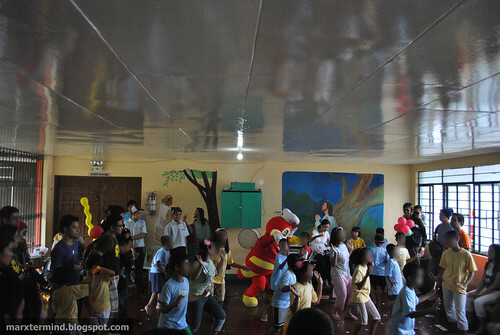 But the thing that excite us most was the joy and laughter that we could bring/share with the kids. It was my first time that I’ve been to an orphanage. 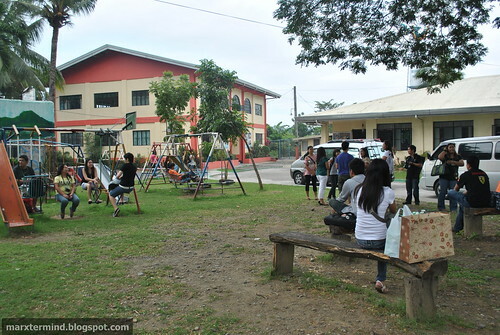 It is located at Tabe, Guiginto Bulacan. How did we got there? Tinulungan kami ni Chyng na makahanap ng makakasabay. Good thing, merong nag-offer na pede kaming isabay na tatlo (me, Jean and Mark). When we arrived, volunteers were scattered around the playground. Wow! 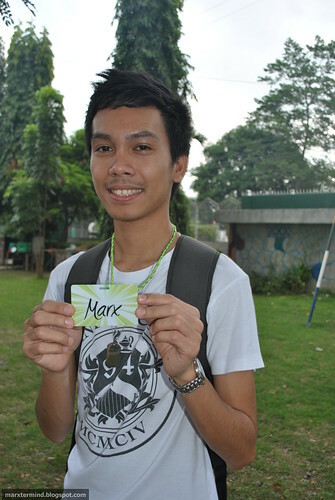 The name tag is cute, pedeng souvenir. Everyone were asked to go inside. We registered our names first then we went to the function area. There were numerous people volunteered so we were grouped into 10 or more. 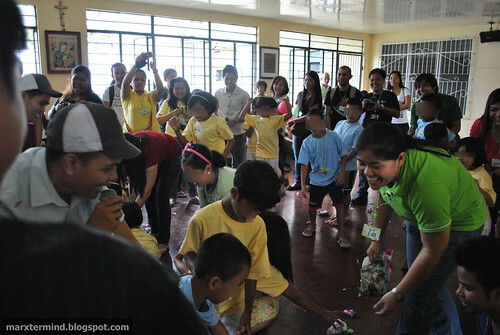 Groups were assigned to take care of 4 – 5 kids. After a couple of minutes, the program began. The program started with an opening prayer. Now, let’s get this started. Wow, may magician! 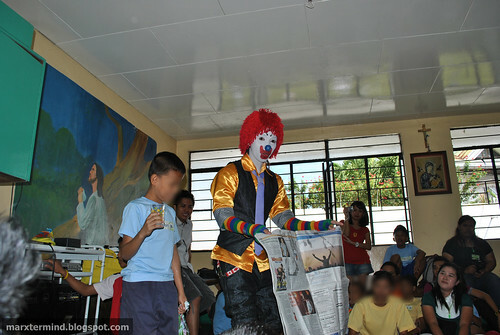 The magician performed some magic tricks and gave treats to some kids. Tricks were artful and catchy. An amusing show, indeed. Afterwards, the kids played games. Everyone was lively and willing. Are you ready kids… and volunteers? Go, game! Party, party kids… and volunteers? It’s paper dance time! Do you want more? Another cheerful game! Go, go, go kids… and volunteers. 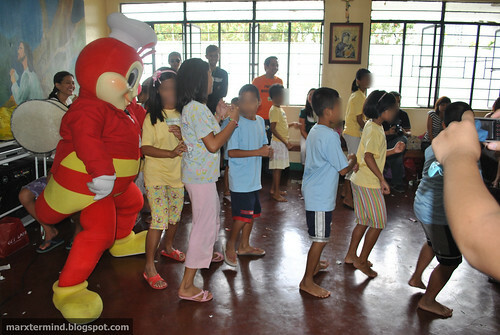 Jollibee performed a dance number with the kids. 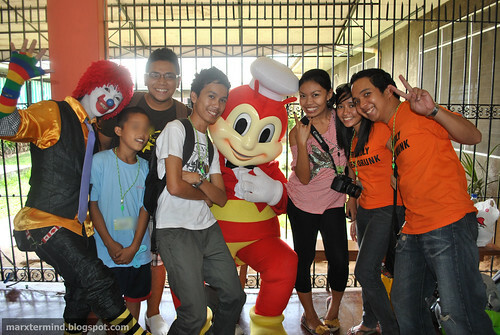 Then picture-picture with Jollibee Yehey! Finally. 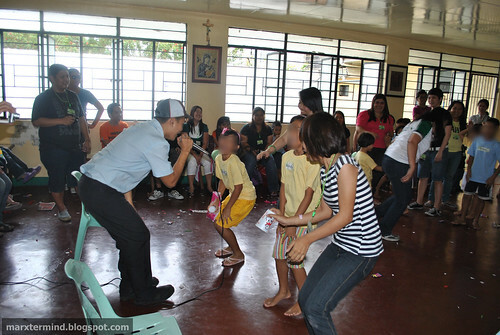 It was a successful and fun, fun, fun outreach program. Mahirap man i-manage ang lahat but as we went along, naging ok ang lahat. 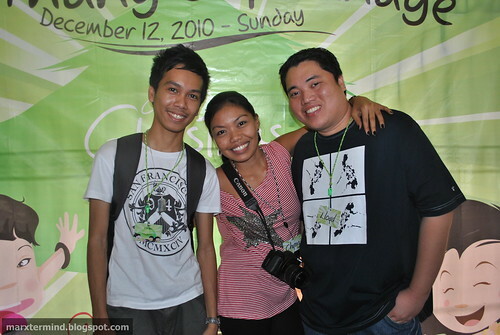 And finally, I met Chyng and Sir Lloyd on the event. Starstruck talaga ako! Dati nababasa ko lang blog nila pero now nakita ko na sila. Me and SF were really happy. Nung nakita namin ni Jean si Sir Lloyd, shy pa kami lumapit. Hehehe… The fan and my blog idols! 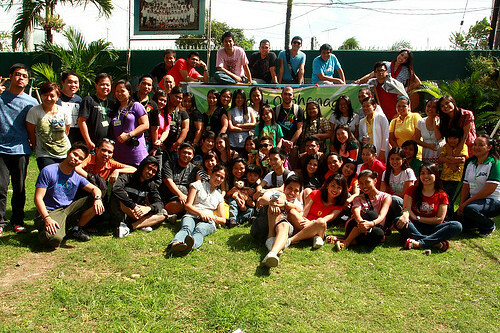 And of course, let’s don’t forget our co-volunteers and donors, sponsors and organizers of this program. Without these people, this couldn’t be as fun and successful as it was. Kudos to JGC and everyone! 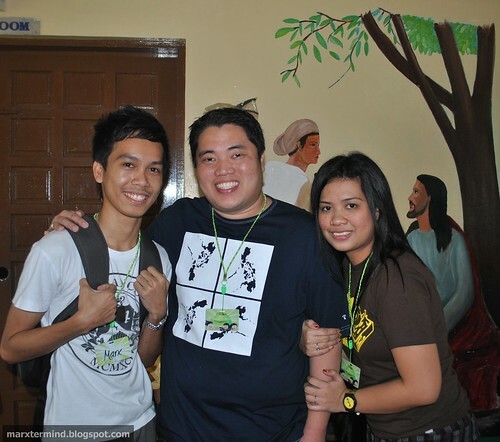 Photo grabbed from Chyng’s blog. For a moment, we shared the fun on these kids. It saddened me that these kids were neglected and abandoned by their parents but at the same time thankful to Bethany House Orphanage for providing comfort, care and love to these kids. They found themselves a place they can call home. For support, donations and sponsor, please visit Bethany House Sto. Niño Orphanage site. Next story Banchetto, a Midnight Food Trip! @Chyng, sige! Gusto ko din itry sa Mercato sa may the fort. Hehehe! and opcors, nice meeting you!! sama ko sa bancehtto one time! game?